The hotel and travel industry is a competitive business, and hospitality companies must continue to offer clients superior accommodations in order to win and retain customers. Fitzgerald Moving & Storage provides superior moving and storage services specialized for hotel refurbishing support. Our FF&E Services are designed to keep your hotel looking great as you refurbish specific rooms or areas. As with any commercial moving or relocation assignment, our involvement in your hotel refurbishing process begins with the creation of a custom moving plan to ensure our team addresses every detail to help the project proceed with efficiency. Our full-service moving services for hotel remodeling and renovation, allows us to arrive on location with the equipment and vehicles necessary to efficiently empty hotel rooms of all the furniture so that structural and cosmetic updates can take place. Fitzgerald Moving & Storage sends a highly trained team to ensure the entire process remains on time and on budget. We track all inventory and store the items securely in our storage areas. We are also in a position to help clients take delivery of new room, back office and lobby furniture in preparation for final move in. With over 500,000 square feet of storage space available, Fitzgerald Moving & Storage offers clients a secure, climate-controlled location in which to hold new furniture and fixtures until the scheduled hotel refurbishing project calls for installation. Trained teams will deliver and assemble furniture and fixtures as directed and complete the installation project so that every room looks like new. Fitzgerald Moving & Storage helps clients located throughout the Washington, D.C. metro area with a full range of hotel refurbishment services and moving experts. Our experience and attention to detail are invaluable to decision makers when deciding which moving company to trust. To learn how we put our expertise to work please Contact Us and a member of our team will be in touch to discuss your needs. We'll work with you to create a plan that covers every detail. 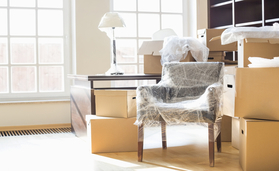 Allow Fitzgerald Moving & Storage to put our full-service moving experience to work for you.